Have you considered purchasing a large sailing yacht? Then you are probably also considering ways to offset some of the expenses of owning that yacht. A popular way to offset costs is to place the boat into a crewed charter program. If properly marketed and managed, a crewed charter program can be an effective way to mitigate the costs of such a large luxury item. Some advantages of placing your yacht into crewed charter are that you can be sure it will be well cared for (which significantly increases her resale value), you will recoup some or all of the operating expenses, and if you set up the program properly you can capitalize on tax incentives. Beyond that, you will have the opportunity to use your boat in some of the most beautiful destinations around the world. A boat with a full-time Captain will be maintained to the highest standard so you can be sure everything will be in order when you are aboard. Depending on where you live and where you register the vessel, certain tax incentives can also be a way of mitigating deprecation and operating costs. When purchasing a catamaran or other yacht for crewed charter you will need to consider which boat will be best suited for the job. You must choose a boat that will meet the needs of your charter clients, as well as being a desirable boat if you also intend to use her for your personal enjoyment. There are many potential boats that can fit this description but each one will need to be marketed differently. Several factors of the boat’s design, layout, and construction can have a significant impact on the potential income of the vessel. Some layouts will not work for certain programs or will be less desirable to potential charter guests. Knowing the specifics of these aspects is crucial to having a charter boat that stays busy. The income from chartering the boat can potentially be substantial enough to cover the combined costs of loan payments, maintenance, insurance, crew pay, etc. 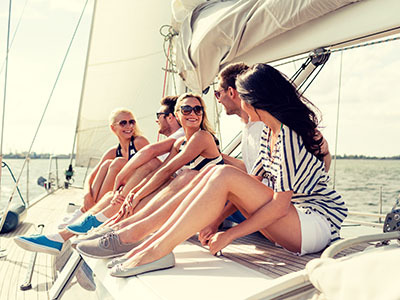 In certain cases, crewed charter boats can even be run as a profitable business. There are various ways to setup that business which all have their own pros and cons. 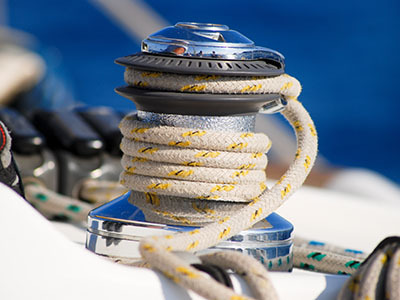 Keeping a balance between owner use and chartering, while considering wear and tear on the vessel will be important factors to keep in mind. My experience as a captain aboard charter boats in the Caribbean has given me a very comprehensive understanding of the inner workings of the crewed charter industry. Combined with the wealth of knowledge gained from working for The Multihull Company and relationships with charter brokers and yacht management companies, I can advise you on the most advantageous route to owning a crewed charter boat. I can also help with advice on post-purchase aspects like cost and income projections, crew placement, effective marketing, and yacht management. If you are considering purchasing a large sailing yacht, I would be happy to talk with you about the details of using her for crewed charter and be a consultant for you through the purchase process and beyond. Selling a term charter catamaran has some added complexities compared to selling a privately-used vessel. When your boat has a reputation within the industry and future charters on the books, you are no longer just selling a boat. You are selling a business and the prospect of future income. That is why it is important to have a broker that understands the charter industry, knows all the players involved, and has a clientele base that are looking for a yacht investment opportunity. Additional complexities come from the crew and how to properly notify them that the boat will be going on the market. A full-time crew will often look at this as a negative situation considering they are potentially losing their job and accommodations. It can be very advantageous to incentivize the crew to keep a positive outlook about the listing of the boat. Often, you will be reliant on your Captain to show the vessel to potential buyers, make sure it is clean and maintained for showings, and continue provided charter clients with top quality service. The worst possible scenario is to give the Captain reason to quit on short notice and leave you desperate to hire new crew for these tasks. They will be aware that their job is most likely short term and may not provide the necessary effort for a successful sale. Properly handling this (often delicate) situation can mean the difference between a smooth sale and a nightmare. Another aspect to consider when selling a charter boat is it’s reputation. Charter vessels are unique in the respect that there is much more information available about them on the internet and within the sailing community. Things like charter listings, customer reviews, and crew forums can provide a potential buyer with a wealth of knowledge about the history and reputation of a charterboat. Therefore, it is important to market the boat properly based on its reputation within the charter industry. It’s also very important to be aware of these aspects throughout the duration of your ownership if you plan to eventually sell the boat. A boat with a great reputation in the charter industry will attract high quality crew, provide steady income, and demand a premium when listed for sale. The opposite is true for a boat that has done poorly within the industry or has a reputation for being a “lemon”. Marketing the boat properly can help remedy a “lemon’s” reputation and mitigate some negative press; but keeping these aspects in mind from the time of purchase will always be the best form of prevention. Deciding on the proper location of the vessel for sale is also a major decision that will need to be considered. You will have to decide whether to move it to a better location for showings or to keep the boat busy chartering but have limited availability for showings. There will be many factors that will dictate where and how you should list your boat and every situation is different. 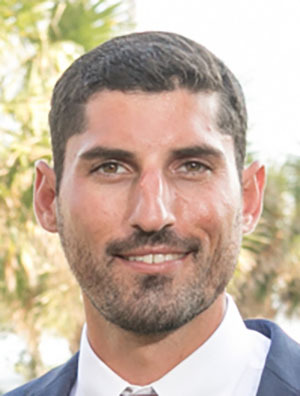 If you would like to discuss the most advantageous way to sell your charter boat, I am happy to consult with you on the best method for a successful sale. If you would like to learn more about buying or selling a crewed charter yacht, I am offering 1 Hour Free Consultation to potential clients. We can have a conversation about your needs and I am happy to answer any of your questions. In the end, buyers anad sellers have several options to pick from when he decides to buy or sell their multihull. At TMC, we believe our passion for multihulls, our strong balance between buyers and sellers, our vast experience, and our reputation for integrity make us the clear and logical choice.